HOLY WEEK — WAS PASSOVER JESUS’ BIRTH AND DEATH? There is a great deal of excitement about September 23, 2017, and the Revelation 12 sign in the stars. Friend Scott Clarke has done some excellent work and who doesn’t love his enthusiasm? Scott asserts that Rosh Hashanah, about six months from now, may be an enormous day in terms of fulfilling Bible prophecy. Scott believes that September, 3 B.C (September 11 of that year!) was the birthdate of Jesus. Scott references Ernest L. Martin’s book on the star of Bethlehem, with its calculations, for why this was the birth date of the Messiah. Scott isn’t absolutely predicting this will be the date of the Rapture, but he certainly is encouraging his audience to think it might be so. Personally, I hope he is right. Regardless, the sign we will see in September is so rare it hasn’t been seen in the same configuration since that date. But is this the date of Jesus’ birth? BUT IS THERE ANOTHER POSSIBLE BIRTH DATE FOR OUR SAVIOR? 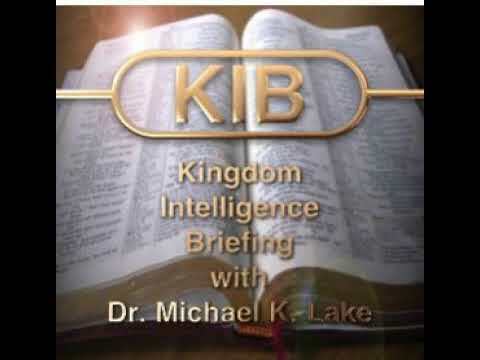 My co-author for The Final Babylon, Douglas W. Krieger, believes that Jesus was born on Passover in 1 B.C. 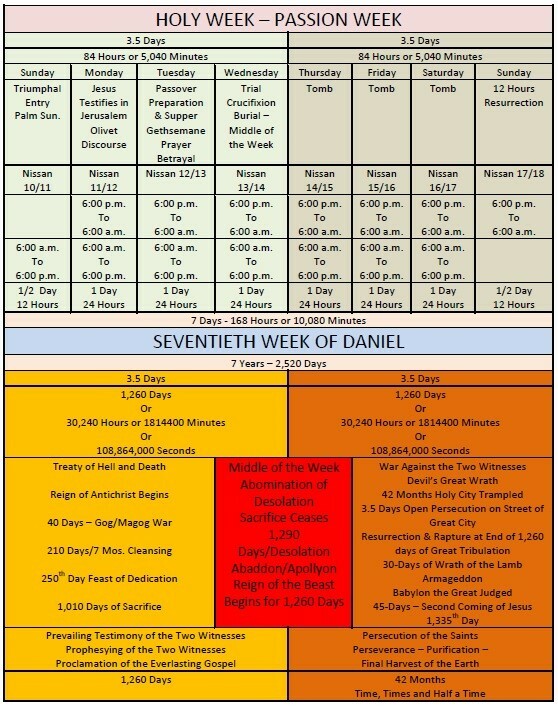 and died on Passover, 33 A.D. For your consideration, I’m sharing with Doug’s permission, three of his fabulous charts that draw parallels between Holy Week and Daniel’s 70th Week. 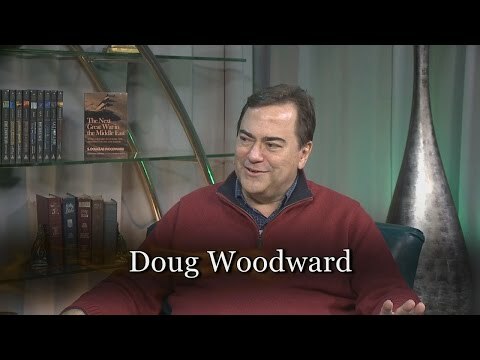 Here is Doug’s overview of the sequence of events. This is something wonderful to study over this Easter (Resurrection) weekend. Jesus rode into Jerusalem on 10 Nisan, Palm Sunday, 29 April 33 A.D. (mandatory Julian Calendar date). Hebrew calendars today are aligned with the Gregorian Calendar that came into use in the 1500s. 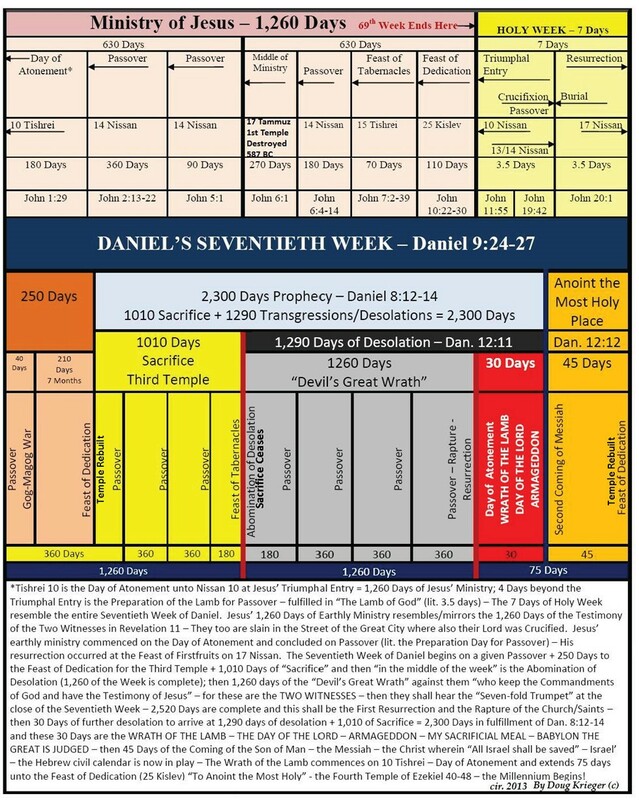 Hebrew yearly calendar did not come into use until the 130s AD (Seder Olam Rabah) and, as you know and so does J.R. church it is erroneous on so many levels and some 243 years off due to their attempts to obfuscate the coming of Jesus as Messiah in fulfillment of Daniel 9:24-27. Nisan 14 – Thursday – begins at 6:00 P.M. our Wednesday (still) – April 1/2, 33 AD (Actual Passover Day) – 24 hrs. 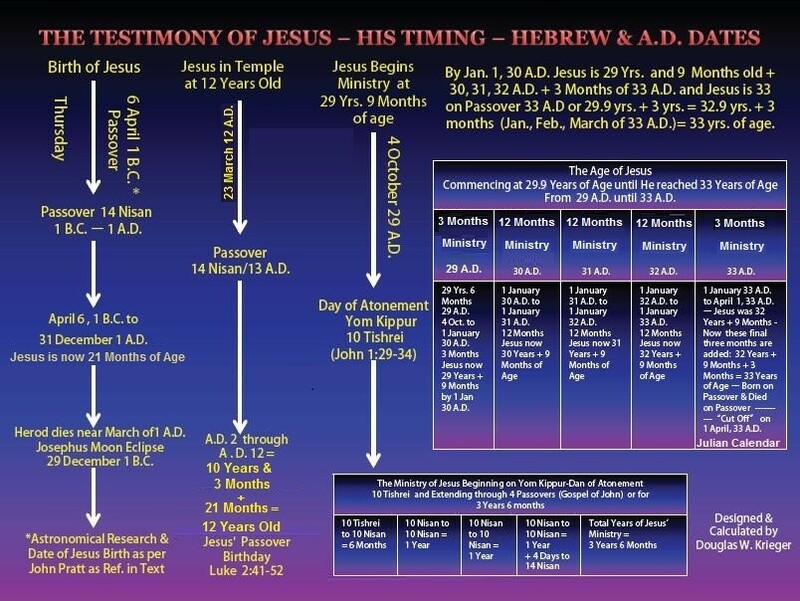 Nisan 16 – Saturday – Day (24 hours) – April 4, 33 AD (Jesus now 3 “days” and 3 “nights” to fulfill Jonah’s prophesy. THE ONLY WEDNESDAY PASSOVER PREPARATION/PASSOVER DAY MUST BE CALIBRATED WITH THE JULIAN CALENDAR – Hebrew Calendars are “purposefully” aligned with the Gregorian Calendars to obfuscate, once again, that there can be a Passover falling on a Wednesday/Thursday EVER – but the Krieg found out their little trick – but few have ever found out this little dastardly secret! Remember – Jesus arose from the grave on Nisan 17, April 5, 33 AD but did not show Himself for 12 hours and arose on Resurrection Morning (so-called) for He is the LIGHT OF THE WORLD! Thanks to Doug Krieger for allowing me to share these with my followers! One of my points is that there exists great anticipation of what may soon happen. I applaud Scott for continuing to look at signs “in the sun, moon, and stars” (including those wandering stars we call planets). But there are still other possibilities to keep in mind. Scott rightly points out that even when we see signs in the heavens their fulfillment may be obscured because we don’t know exactly what is happening where in this great big world. 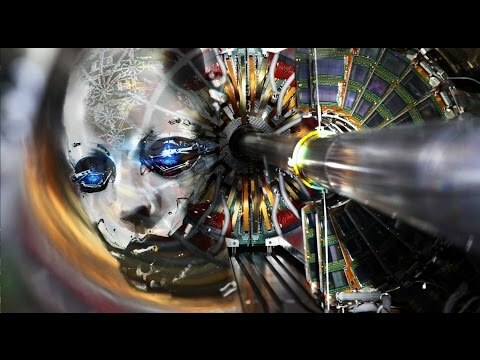 My two cents: something big is about to happen. 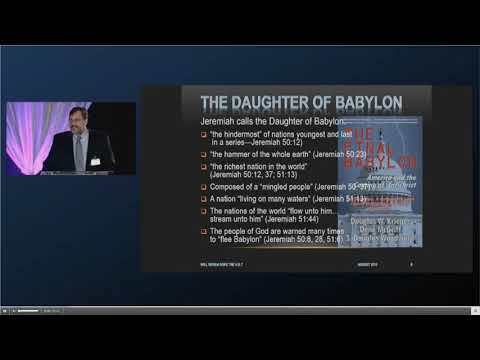 Bible prophecy appears to be on the cusp of a major fulfillment. Like never before, IT IS TIME TO WATCH! THIS WEEK I AM OFFERING MY TWO BOOKS THAT DEAL WITH THE CRISIS WITH RUSSIA, ISRAEL, AND THE UNITED STATES. IS RUSSIA DESTINED TO NUKE THE U.S.? YOU CAN FIND MY BOOKS ON AMAZON. BE SURE TO NOTE. IT IS THE KINDLE VERSION THAT IS ON SALE.